A new edition to the family: WHFSV ASEAN | What Hi-Fi? It joins our existing editions here in the UK and in France, India, Indonesia, Russia, Serbia, South Africa, Spain and Thailand. Published under licence by WHF Asia Pte Ltd, it has a cover price of 12 Singapore dollars. The company has initially launched in Singapore, with a print run of 10,000 copies, but plans to extend distribution to Malaysia and Brunei in the coming months. 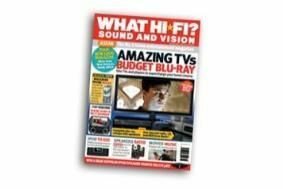 Brand Director Clare Newsome says that "This launch, as with any new edition, is exciting for us because a whole new group of readers will find out why What Hi-Fi? Sound and Vision is the most trusted and recognised buyers guide for consumer electronics." Those new readers will join a worldwide readership already in excess of one million – and that's what makes us the world's number one home entertainment magazine.